I haven't done a painting in two years. So much was going on during those two years and, frankly, I just wasn't inspired. However, sometimes prayers are answered, the future looks very bright again, and the muse comes back! I had always wanted to do a portrait of my mom in her beautiful traditional Japanese wedding kimono. I had done a previous portrait in colored pencils, but it wasn't very good as I was just getting back into art. 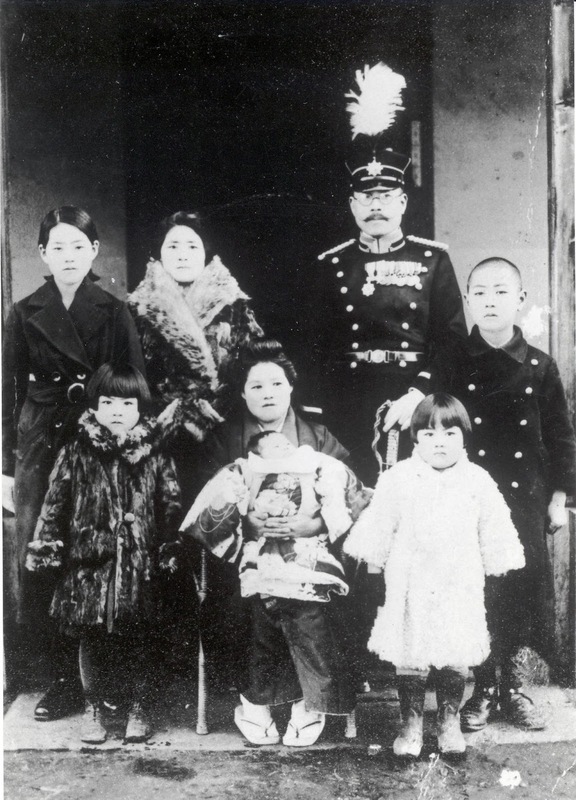 Front Left to Right: Name unknown - 2nd oldest sister, Korean maid sitting and holding next to youngest sister Aiko, and sister Fumiko. My mom is not yet born. My mom, Kazuko, was born in Japan on March 4, 1932 into the very well-to-do Ohba family (old Samurai heritage), her dad Zenkai and her mom, Asano. Zenkai was a very high ranking officer in the Japanese military during WWII (yes, the wrong side). Before my mom was born, Zenkai and Asano had 5 children, a boy and 4 girls with my mom becoming their 6th and last child. However, Asano died a few days after giving birth to my mother. 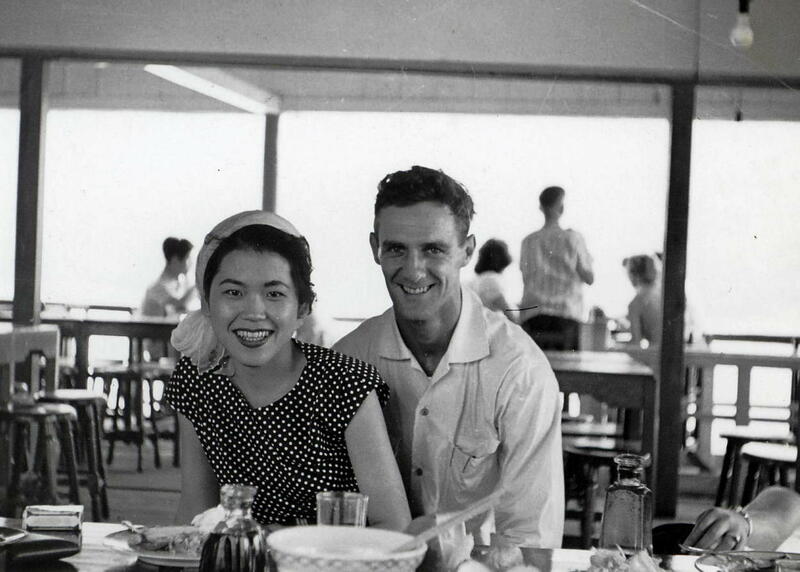 And so, my mom was motherless with a Korean maid (yikes!) looking after her and her siblings. Knowing what I do, I believe my mother never bonded with her dad and only had a few days as a newborn with her mother. After Asano died, Zenkai found a new wife and they had a daughter, Hirako (not positive that is her name but we'll call her Hirako here). By then, the eldest son and a daughter had passed away, but I don't know the story. The new wife did not want to be encumbered with the two youngest children (Aiko and my mom), and so Zenkai had them adopted out to two of his bodyguards and their respective families. Some people have told me that is what was customary at the time. I never knew the name of the man who adopted my mom, except that his last name is Shimizu and that was the name my mother went by. She inherited a step-brother who was older than her by a few years, a step-mother who both doted & spoiled her, but a step-father who was cruel to her. I only go by the few stories my mom happened to mention. 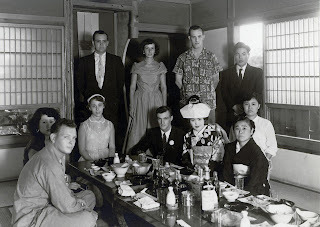 Time went on, and my mom wanting to learn English, found a job at an air force base in Japan as a housekeeper while she went to English school. She was invited to a party and there she met my dad and they fell in love, married and had me. By then, she had no memory of her previous family and never knew that the family had been wealthy. Before my parents married and went to live permanently with me in tow, a Japanese woman came to visit my mom. My mom said the woman looked very much like her and it turned out to be her oldest natural sister (name unknown but she is in the dark fur coat to the left of the maid) who had explained about her natural family and about the other adopted sister (Aiko). While living in her new country, she learned of the death of the sister who had told her about her past. I believe she is pictured in my parents wedding wearing a white shirt. In the early 60s, my mom returned to Japan to see/meet her two remaining sisters (Fumiko and Aiko) and, also the half-sister Hirako. 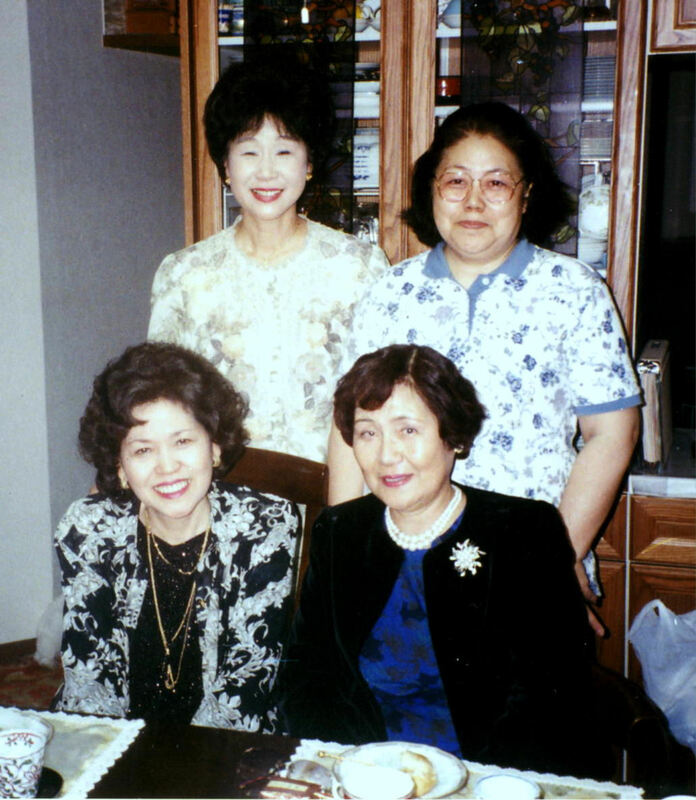 Every few years, these sisters would meet up and talk of Ohba family past. What became of Zenkai, well it turns out that not too long after he adopted out his two youngest daughters, there was a parade with the military and horses. One of the horses was acting up and the handler couldn't control it. So, my grandfather went to take control. However, the horse threw him and he broke his neck and died. I never found out about the older siblings and how they passed away. And a lot of the history comes from both Fumiko and Hirako of what they remember. My mom never said very much about all of this to us, but what she did, I hung on every word. Kazuko and Ed in love and on a date. I don't know all the people here, but standing Left to right: two unknown people, my Uncle Pete, and my mom's stepbrother. Seated from left to right, unknown man, my Aunt Yoshiko who is married to my Uncle Pete, unknown woman, and my dad, mom, her natural sister in the white shire, and her step-mother. The Pettit brothers were not really supposed to be stationed together and would never be stationed together after Johnson AFB. I really like your memories of Mom and her family, it's what I remember too. However, I always thought her last name was Oba not Ohba and I'll have to check that out but you're right on the mark from what we were told.